The world of music has been enriched beyond measure by the efforts of Jewish performers, conductors and composers. 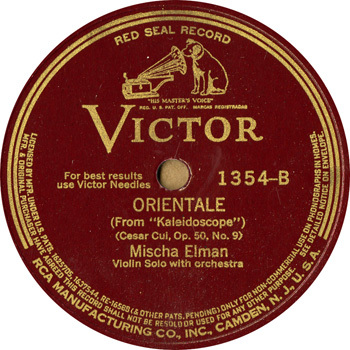 Today we highlight the talents of one of the great violinists of the 20th century, Mischa Elman. Famed for his passionate style and beautiful tone, this world-famous virtuoso was the grandson of a violin-playing klezmer performer. By the age of six he was already understood to be a prodigy and when he was 11 he was admitted to the St. Petersburg Conservatory for further training. He made his Berlin debut in 1904 at age 13 and his London debut a year later. While still in his teens he traveled to the USA to appear at Carnegie Hall in New York City. Fifty years later, in 1958, he celebrated this occasion with a wonderful return performance. Elman’s recorded legacy spanned over 60 years. His first 78 rpm discs were made for Pathe, in Paris, in 1906. He continued recording until shortly before his death in 1967. 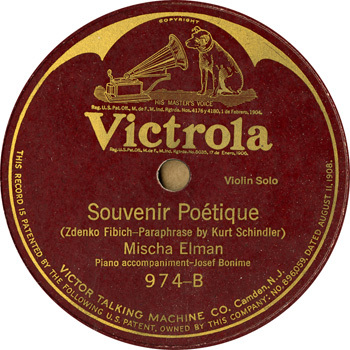 The Judaica Sound Archives has created six digitized “albums” from Elman’s 78 rpm discs produced by Victor/Victrola between 1906 and 1921. Click either record label to hear any of the 77 songs in this collection. 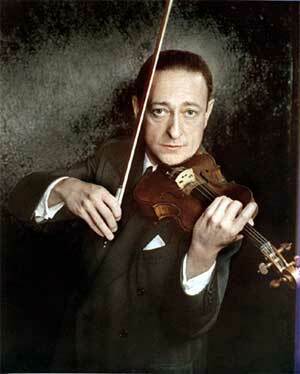 There have been many great classical violinists in the past, but few have achieved the fame of Jascha Heifetz. His use of rapid vibrato and emotionally charged fast tempos, together with exquisite control over his instrument helped to make his music distinctive, exciting, and brilliant. A child prodigy, he began making phonograph recordings in Russia when he was only 9 years old. These early recordings are quite rare. On October 27, 1917, at the age of 16 he made his NYC debut in Carnegie Hall. Shortly thereafter he began recording for the Victor Talking Machine Company and later RCA Victor. The Judaica Sound Archives at Florida Atlantic University Libraries has created four audio albums consisting of 32 of these Victor recordings produced between 1917 and 1922. This vintage collection of music originally recorded on 78 rpm discs was digitized and compiled by The Judaica Sound Archives at Florida Atlantic University Libraries. These albums are not available for sale or reproduction but can be heard in their entirety on the JSA website. 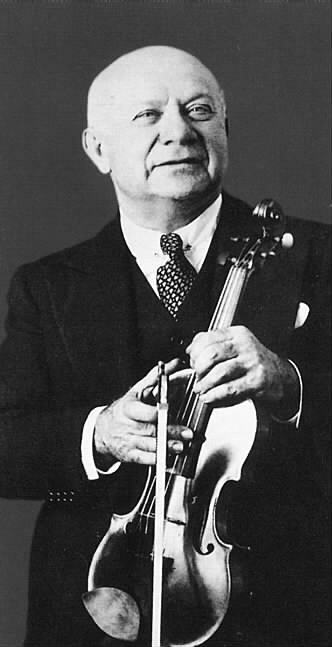 Heifetz was often a controversial figure. He was attacked in Israel in 1953 because he insisted on including the works of Richard Strauss and Richard Wagner in his repertoire despite the strong sentiment at the time that they were Nazis. On the other hand, he was a strong critic of the Soviet Union and was considered to be a defector by other Russian musicians. Click on any label to hear that song.